Hatinators are made of just a brim, but ohhh how we can shape, twist, fold into so many shapes. 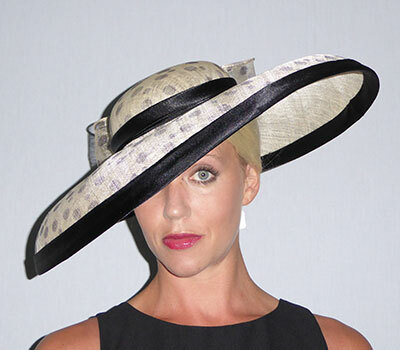 This makes a hatinator ideal for Ascot, Henley or the races; but also suitable for mother of the bride or groom. An example being the saucer style worn on one side, it is very flattering and easy to wear but you can also really make a statement and let your imagination go to the extreme. Let us take you out of your comfort zone, you will be surprised. This Hatinator in a pinkish brown Sinamay takes pride of place in my collection. A shaped leaf and an upturn to one end that sways across the head and is decorated in twig style stems with small buds. Elastic band to match hair colour. 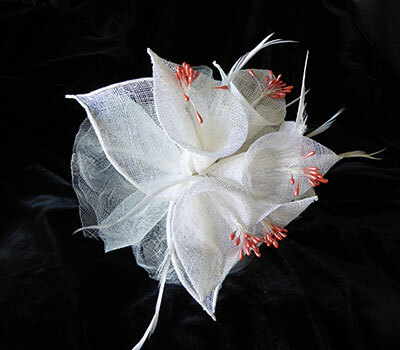 Free form Sinamay take on a wave effect on this layered Hatinator. Set on a headband and decorated with blue/white feathers and flowers. 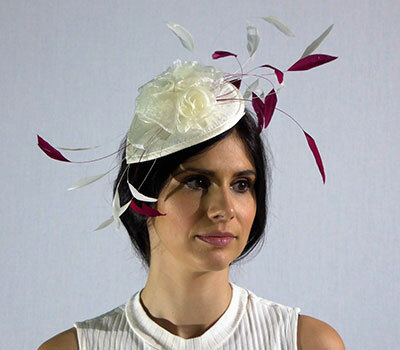 A flurry of Black Crin set on a teardrop base, elastic band to match hair colour and adorned with Black Biot feathers and a deep Pink Peony. Small felt saucer in green felt with black arrow and veiling. 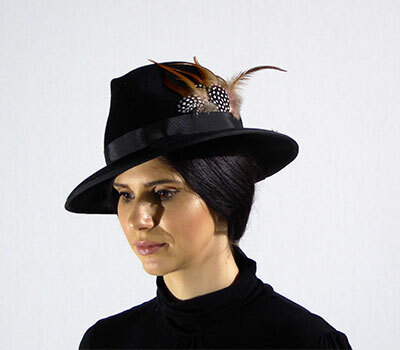 Small saucer in apricot sinamay with black arrow and veiling. 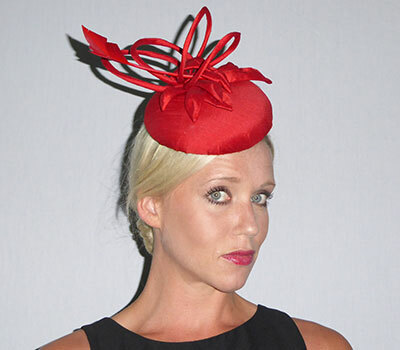 Stunning hatinator in dark grey sinamay edged in wine with matching flowers and feathers.